Coffee at the ready, it’s Ultimate Coffee Date time! It’s time for a catch up! I cannot remember the last time I blogged so much. I’m not sure whether it’s the Blogtacular effect and my brain is coming up with new post ideas because of that, or whether I’m just doing a bit more that I can write about lately. Who knows! If we were having coffee, you’d notice that I’ve caught the sun a little bit. I’m genuinely hopeful of a tan this year instead of going red then back to porcelain white. When we lived in the flat, we didn’t get out a huge amount as we didn’t have anywhere to sit in the sunshine unless we trekked a load of furniture with us, and even then, it’s not the same as being sat in the garden. Now that we have a house with a garden, we’ve really been enjoying getting out in it and tackling the lawn and will very shortly start weeding. Our acer has also gone from having very little in the way of leaves, to suddenly being the most beautiful colour. In terms of working in the garden, I seem to be the person who gets to do the mowing, while Matt rotivates the flower beds (which is fine by me – my weakling muscles can’t cope with rotivating manually for very long!). I think we have been outdoors a bit more lately too, which has helped, and it is amazing what a bit of vitamin D can do for your mood! Over coffee, I’d tell you that my Whole 100 is going okay. I’m near the end of a normal Whole 30 now (30 days are up on Tuesday I think). I’ve gotten into a bit a funk lately, which doesn’t seem to have any reason behind it, so I can only assume that it is the junk still leaving my body and it’s just kind of throwing me out of sorts. I know it’ll pass, and I know that I need to invest some time in getting it right too. I haven’t been great at my meal prep outside of dinner. Yesterday, because I hadn’t prepared anything and I was doing some training at work and time got away from me, I didn’t have breakfast or lunch. Not ideal. So today, I suspect is going to be a hungry day. On the plus side, it is a good kind of strange to recognise what hungry is for me. I’m trying to make a conscious effort to only eat when I am hungry, rather than “oh look, it’s 1pm, it’s lunch time”. Over coffee, I would tell you that I am going to be attending a yoga class on Monday. It’s a 6 week class which is meant as an introduction to Mysore style classes. Thankfully it is designed for the complete beginner, though while I am not a complete beginner, it’s been a while since I last practiced. My thoughts have started turning towards the last yoga course that I did in October, and I’ve been quite aware of how shallow my breathing is. Anyway, I’m sure I’ll ache and be a bit stiff for the first couple of times, but I’m really looking forward to it. Over coffee, I would probably still be singing the praises of the Devon County Show. I haven’t been for about three years, but Matt bought us tickets to go this year. I really do need to finish the blog post I’ve started for it, but I enjoyed myself a lot, despite getting up at the crack of dawn (at least it felt like it!). Normally, Mum and I go on a Friday as there are less children around, but Matt didn’t have enough holiday to do that so we went on Saturday instead. Also, with Mum, usually we try loads of different foods, from cheeses to honey to seeds to whatever sounds interesting in the beer and cider tent. This time, my Whole 100 scuppered my plans and I couldn’t eat much at all which was a shame. I actually didn’t buy too much – just a HUGE steak, some sausages and a potted rose for Mum. I would have sneaked an alpaca and/or horse out as they are one of my favourite animals, but I think someone would have noticed! So that’s me this month. Categories: Ultimate coffee date | Tags: Coffee, Devon, Ultimate coffee date, whole 100, Yoga | Permalink. A few weeks ago, Matt was having his usual scan through Twitter and saw that Killerton House hold a Secret Supper Club each month from March until December. I’m always up for a meal out, especially if it’s a little unique. Turns out that this Secret Supper Club is a proper hidden gem. He made the call and booked us in for 2nd March. After a couple of long days at work, it was the perfect excuse to get away on time, dash home, feed the cats, reapply some make up, brush my hair and head out again. I haven’t been to Killerton House itself for years, possibly even decades. 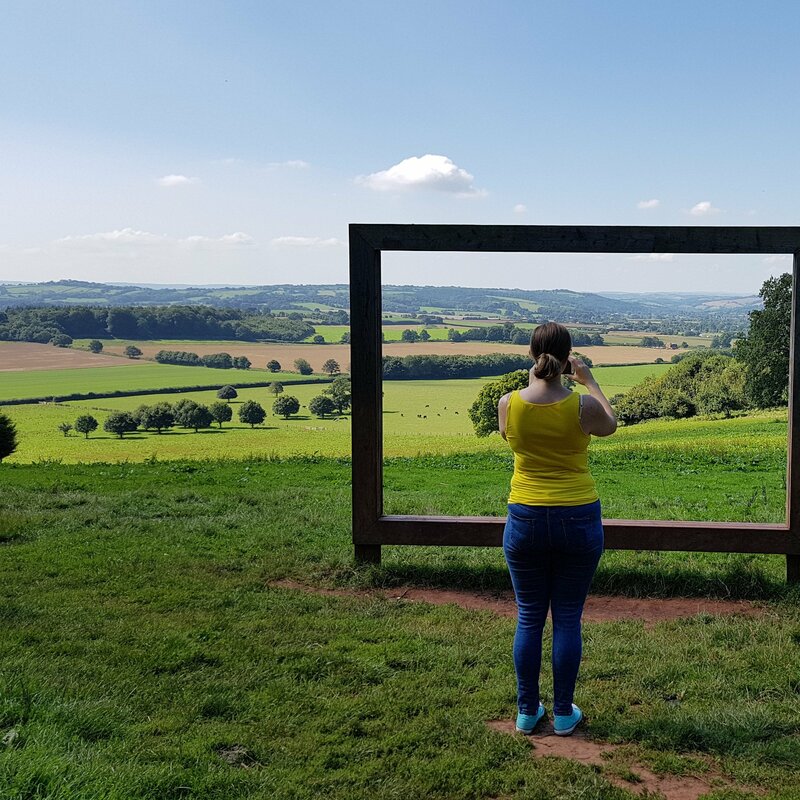 As a family, when my sister and I were much younger, Killerton was a regular Sunday outing for us but as we got older, the membership lapsed and we stopped going. It wasn’t until parkrun many years later, that I went back, and even then it was only through the stable block. We drove down to the stable block car park and got out, hoping to see signs pointing us in the right direction. Nope. There were none. We wondered if we got the dates wrong, as there wasn’t anyone else around either. Not prepared to admit defeat, we hopped back in the car and drove to the main gate where Matt has dropped me for parkrun before. This looked a little more promising! We parked and walked down to the house. The smell coming from the kitchen was amazing, though we still weren’t entirely sure where we were going, but knew to follow our noses. Always trust your nose! We walked around the back of the building and found the restaurant, and were warmly welcomed. How cute is the menu! It’s in a copy of Ben Schott’s Food and Drink Miscellany, which was also quite interesting. We decided on two courses rather than the full three (good move! ), and as I have a sweet tooth, I opted for mains and dessert, while Matt went for a starter and main. We ordered drinks and our food, and were given some hors d’oeuvres – creamed goats cheese on puff pastry topped with a baby tomato. I am a real sucker for goats cheese. I think I had my first taste of goats cheese at the Devon County Show years ago, and it’s a taste that has stuck. Anyway, it was a nice mini starter for me, and a warm up for Matt, who had ordered the venison terrine. I had a bite, and knew I had made the right decision with pudding. The terrine was nice, but I personally find venison a bit too strong to have in the generous quantity that it came in. Matt enjoyed it though. I think I died and went to heaven. This was without doubt the best duck I have ever had. It was really succulent, not at all fatty. The whole thing was delicious. I’m always a bit cautious about fruit on a main course, but the addition of cherry was really lovely. Matt agreed, which is almost unheard of, as he is not a duck fan at all. Likewise, his pork tenderloin was beautifully cooked. Before pudding came out, I wasn’t sure if it was going to be able to match the duck. Normally, I will pick the fruit dessert over the chocolate offering, but for a real change I went for the stem ginger and treacle tart. I think it was the clotted cream and ginger combination that appealed. Yes, it matched the duck in terms of taste. You definitely could not have a lot of it, as it was really rich, but it was the perfect end to the meal. Except it wasn’t the end! We then had petit fours which were chocolatey and amazing (and snaffled before I took a picture). The service was great too – we had a really attentive waitress who chatted away and was super-friendly without being that awful “is your food okay?” kinda person. It’s a pet peeve of mine when you’re usually mid-mouthful and the waiter comes over and asks with all the enthusiasm of a wet sponge whether your meal is okay. I know they have to, but it really bugs me. None of that here though, which was like the cherry on top of a lovely experience. We’ve already booked back in for next month! At least we’ll know where we’re going this time. Are you a starter or a dessert kind of person? Categories: food | Tags: Devon, food, Killerton, National Trust, Supper Club | Permalink. Ah, the Hollywood dream – cold weather, worthy of a lovely snuggly coat, scarf, cute hat and gloves. Maybe accompanied by your equally as well dressed partner, smiling as you walk down the busy, but not too crowded high street, carrying bags (the nice kind – you know, the ones that you end up keeping for “best”), smiling all the while. The reality? Queuing to get anywhere near the city, then queuing some more as the local NCP operates a one-in-one-out policy. Once you’ve found the Holy Grail parking space, you join the multi-generational roving mosh pit rocking out to Mariah Carey. It could almost be considered a contact sport. The weather just about warrants a coat, but the second that you step into a shop you’re sweltering and sweating like you’ve just sprint 5k in a bid to beat Yusain Bolt (Marks and Spencers, I’m looking at YOU!). The bags, which you had to pay for because you keep forgetting that plastic bag charges aren’t just something that your local supermarket has had to implement, aren’t the nice ones. They’re the ones that slice your fingers and make you wish you had worn gloves (though it is too hot to actually wear gloves). Your partner is miserable as sin, and the mood is showing no signs of improving. Battle weary, you return home with most of the stuff you had intended to buy, some things you hadn’t planned on, and forgot some things in the muddle of bags. Often, after my November pay, I brave the high street for a couple of items. The majority of my Christmas shopping is done online to save the stress. When we lived in the flat, as we lived above a business, the delivery men used to be able to leave stuff with the business who would very kindly leave it on our landing. In the event that it wasn’t delivered during office hours, we lived around the corner from the sorting office which opened at 7am so we could nip in before work. All that said, I don’t actually like online shopping all that much. We all know this makes financial sense, let alone anything else! Despite my misgivings above, I do actually like Christmas shopping. I like it too much actually. I get massively carried away usually, blow the budget and pay for it (literally) until Easter. This year, I’ve reeled in the spending, but hopefully not to the detriment of getting things that people want. This helped us massively. We literally planned to go down one side of the high street and back up the other. It was executed in a way that I think the military would have been proud of. There was no faffing, no browsing, just targeted shopping. I think this definitely helped me stay on budget too. Exeter is hardly London or any other major city, but the shopping area is really quite concentrated. I am not a fan of crowds, and find shopping with large quantities of people around stressful. I’m sure as a teenager, I used to enjoy this, but as I get older, I find myself less tolerant. Matt and I got in to the city centre for about 8:30am. We drove straight in to the car park we wanted to park in – no hassle. There was no battling through crowds to get to destinations or in the shops. As we left, it was just beginning to get busy and I was glad we were done. If you can’t do early, try getting there late. When I lived in Sheffield, an evening trip to Meadowhall was infinitely less stressful than a day time jaunt. I was quite clear when Matt and I were formulating our battle plan that breakfast featured. Our original plan was to go to Brody’s (I fancied pancakes), but in the end, we opted for a breakfast Subway on the way in. It was nice, it definitely stopped me feeling grumpy, and felt like more of a treat than lunch. It just isn’t worth getting all stressed over. There are some things that I missed off the list (and therefore forgot to buy). Worst case? I’ll either pop in early again, or buy them online. This year I’ve had such a good experience, that I’ve realised it isn’t worth stressing about, or getting annoyed at the child that screams just below the pitch that only dogs can hear, or about the person who just randomly stops and you end up bumping in to them. Needless to say that I am now sat here, smug in the comfort that I am pretty much done. I’ve got the wrapping to do, for what Miracle on 34th will be cracked out (my favourite Christmas film). How is your Christmas shopping going? What’s your favourite Christmas film? Categories: Random Musings | Tags: Christmas, Devon, Exeter, How to | Permalink. I tend not to blog when I have nothing to blog about. I’d say that was definitely true on the weight loss and exercise fronts, but unusually, life has been a bit on the busy side for me lately so I haven’t found much in the way of spare time. I said in my last blog post that Matt and I had been given notice to move out of our flat in the summer. We don’t have a definite date yet, but when we were told that we needed to move, we got straight to it with house hunting. The paperwork is all done for the mortgage now, and we’ve had an offer accepted on a house. It’s in mid-Devon, much closer to Killerton parkrun, and super convenient for hopping on the motorway to both sets of parents. We are just waiting for the full survey next week. We’re hoping to move by mid-August at the latest. It’s all very exciting, but quite stressful, and also quite scary to see how much junk we’ve acquired in the 5 years we have lived here. We’ve had a couple of weekends out and about too. Two weeks ago, Matt and I joined his mum and step-dad to go to London. 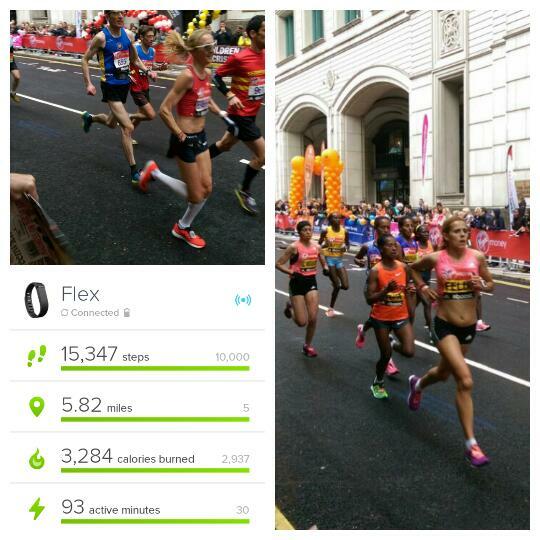 Step-dad was running in the London Marathon, so we had said we would like to go and cheer him on. We joined him for the expo, and wandered around London for a short while. We made it back to where we were staying and had a lovely dinner at a local pub. It was a very early start (for a Sunday morning) on race day. We caught the train to Blackheath and waved him off about 20 minutes before the start, before heading back towards Greenwich to catch the Tube. We got off at Canary Wharf, intending to get to somewhere around Mile 11. As it turned out, we found a great little spot between Mile 17 and 18 on the North Colonnade, so decided to stay there. Unfortunately, I was on a coffee run when the elites and Paula Radcliffe came past (thankfully, Matt snapped a picture or two!). Father-in-law came through, looking really good and definitely on for the time he was looking for (he completed the Marathon in 2010, in 4:25:21, and wanted to beat that). After cheering him on, we made our way over to Hyde Park to the finish line. The finish line area was definitely interesting – broken, but incredibly proud (and some disappointed) people. It definitely made me rethink any daft notion I had about entering the ballot! Unfortunately, father-in-law didn’t beat his time. I think he was just happy to make it around in the end, as he had started to experience some of the niggles that he had picked up during training. Nevertheless, we were all very proud of him! Last weekend was the culmination of a lot of planning between my sister and I. Mum celebrates a significant birthday this year, and we wanted to do something special for her. It was top secret and Mum was told to keep the first bank holiday weekend in May free. Matt and I picked both my mum and sister up on Saturday morning, having put together a packing list and arguing about Matt needing a car for the weekend (it was all in hand, Matt would be keeping the car). We arrived at Exeter airport, and made our way to check in. 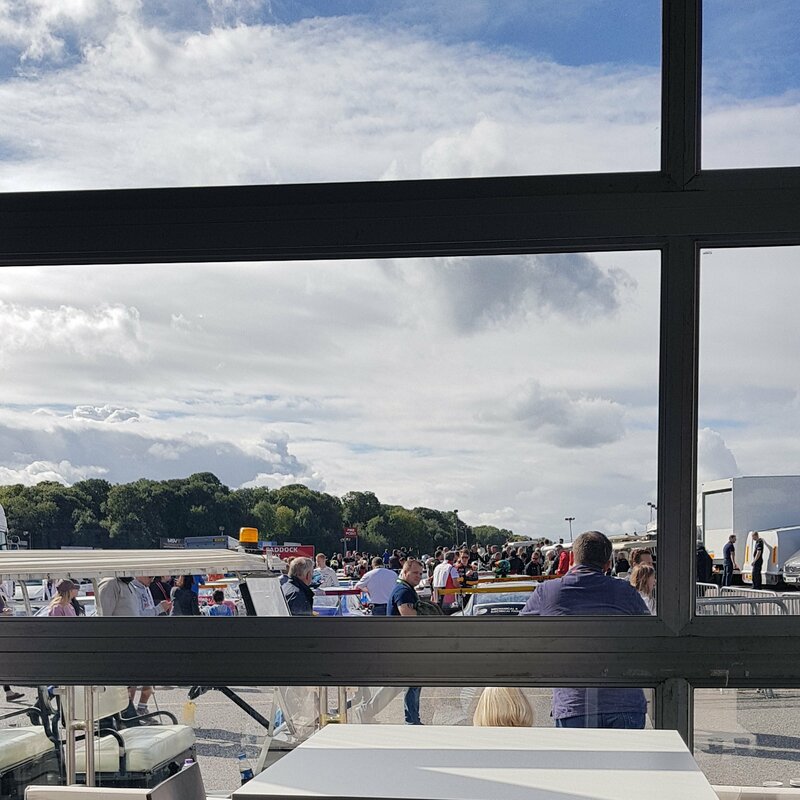 We still hadn’t told her where we were going, but when we got to the check in, she scanned through the flight lists – there were three options – Edinburgh, Dublin or Paris. Mum and P had gone to Edinburgh on a holiday relatively recently, and she has never expressed a desire to go to Dublin, so she guessed (correctly) that we were heading to Paris. Her reaction was absolutely priceless! P and I had worked out the itinerary and transport links, and tried to make it as smooth and worry free as we could for Mum. We checked in our hotel, which was a fab little apartment in Courbevoie, close to La Defense train station. Sadly the weather wasn’t really in our favour, and we’d had a delay on the train from the airport, but we’d booked a city tour on Big Bus Tours. We managed to catch the last bus of the day from the Arc de Triomphe and see most of the major sites in Paris. I would definitely do this tour again, and make use of the hop on hop off if we had more time. It was a really nice way to see the city without any hassle, and with a little bit of commentary. 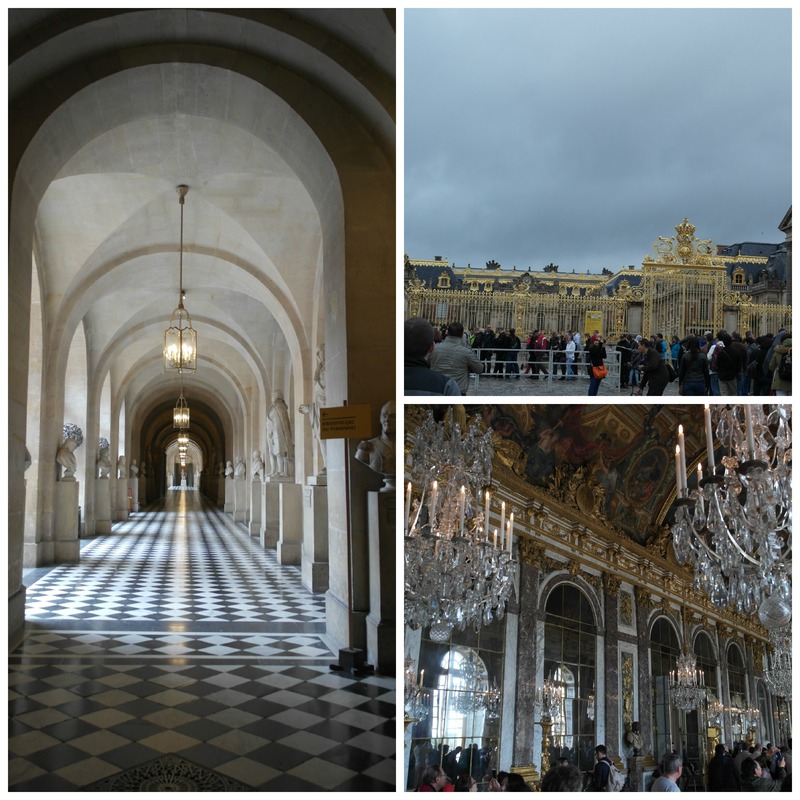 On Sunday, we had booked to go to the Palace of Versailles. Wow. It is absolutely breathtakingly splendid. The queue to get in was massive, but surprisingly orderly for a European queue. We queued for about an hour to get in to the Palace (definitely getting there early is the best plan), but it was worth it. I like a good historical building or place, and have been very lucky to go to a lot of castles and houses in the England and Wales, but Versailles was magnificent and in a league of its own. It’s another place I would love to go back to, as we didn’t get the chance to get into the gardens or any of the other buildings at all. There was just one sting in the tail of an otherwise brilliant weekend – the travelling home. 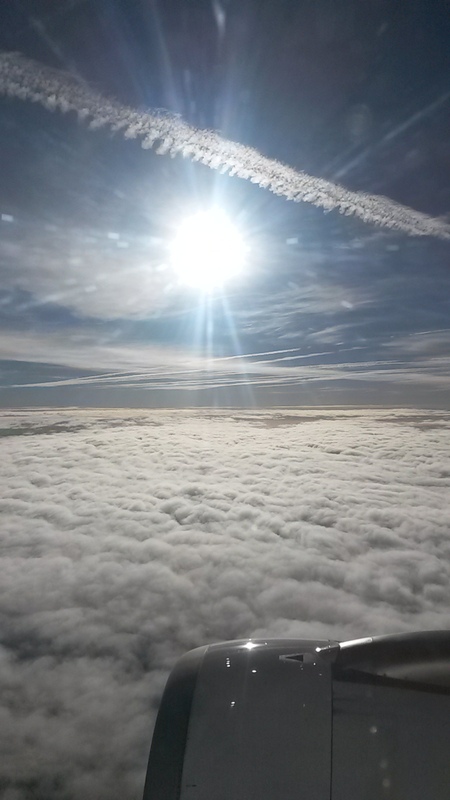 We had a very early flight home on the Monday morning, which came back via Manchester. Despite rising at such an ungodly hour, Mum enjoyed the whole weekend, and I am pretty sure that P and I would do it all over again just to see her reaction! This weekend was my friend Helen’s hen party. Her bridesmaids had organised a weekend away in a Georgian mansion in Rockbeare. It was a perfect setting for a relaxing weekend away in a beautiful house, with probably one of the best bathrooms I have ever seen. There were rounders, drinking games, vast amounts of food, lots of laughs and a murder mystery. It was a really lovely weekend, and great to get to know some people before the wedding in a couple of weeks. We have nothing planned for next weekend, which I am quite glad about! The washing is piling up, and the house won’t pack itself! Categories: Musings & Ramblings | Tags: Devon, hen party, London, London Marathon, Paris, Versailles, VLM, VMLM | Permalink.